16-year-old Youtube user Katherine Ward—also known as xxmakeupiscoolxx—posted a video on how you can use Oreos as makeup. As in, for your lashes. Really, we're not kidding. The process seems simple enough: Crush the Oreo cookie until it's fine as powder, mix in face primer, and transfer into a tin container. Grab a mascara wand, dip it into your new concoction, and apply on your lashes! We’re just as confused as you are. 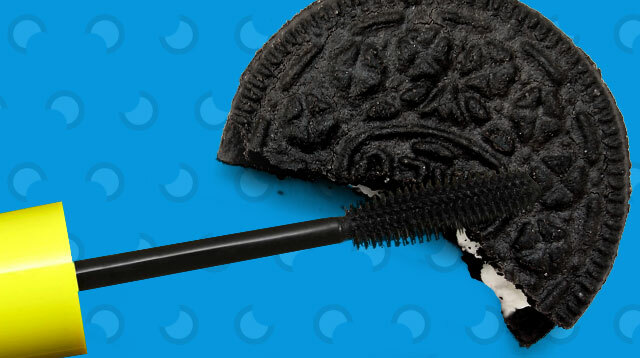 As interesting and ~*innovative*~ as this seems, we’d rather stick to our regular mascaras, thankyouverymuch. P.S. She also turned M&M's into eyeliner. There is no stopping her.